GM Autoflow supplies a large variety of industrial water filters and filtration units for commercial water filtration, they can be built to resolve individual problems and situations. These are units for domestic through to large scale triplex systems for high flow situations. Units are available to remove iron, sediment, chlorine, nitrates, organic matter, heavy metals and we can supply systems that solve a multitude of problems in one unit. Proud distributors of the excellent quality Cintropur Filer Systems, intended for domestic and industrial water filtering, as well as rain, spring or well water recovery and treatment. Suitable for Residential, Industrial and Agricultural markets, also suitable for watering and irrigation. All prices are plus V.A.T. and delivery. 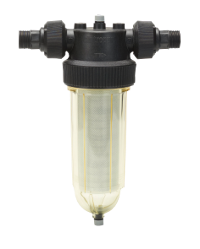 Cintropur offers a wide range of mechanical filters designed for filtering clear and slightly contaminated water. The residential range features 3 filters and is capable of serving flow rates from 0 up to 6.5 m³/h. For years, bag filtration has been used as the most economic method of removing bulk particulate. With such traditional applications still deamanding consistent performance and an increase in processes of a more critical nature, an expanded bag range has evolved. Italian SITA have been designing and manufacturing stainless multi cartridge housing for industrial and commercial applications for over 30 years. 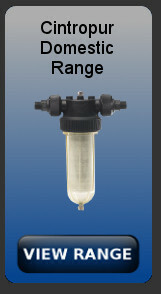 The cost efficient range is capable of treating very high flow rates. Italian SITA have been designing and manufacturing industrial filtration for a wide range of applications for over 30 years. The cost efficient range is capable of treating very high flow rates. Pentek have utilised their 40 years of experience to create the unique and innovative Third Generation (3G) design. With the introduction of the 3G range, not only has the quality improved to enable a lifetime warranty but many features are now incorporated to enhance it's reputation.